Born and raised in Oregon, Cindy has five siblings including a twin sister. At the age of 17, Cindy accepted Jesus into her heart as her personal Lord and Savior. She married, Shawn Penn, her college sweetheart in 1990. They met at Western Baptist College (a.k.a. Corbin University). After 25 years of marriage, she is still captivated by his love and devotion to God, his sense of humor, and how real he is with everyone. Cindy and Shawn have four children: Katie (girl,23), Brandon (boy,21), Tyler (boy,17), Madecyn (girl,15). Cindy loves being a mom. Her kids have brought great joy and fulfillment into her life. As a Children’s Ministry Director for over 21 years, God has also given Cindy various opportunities to work with kids. She coordinates the Children’s Ministry Program from birth to fifth grade at PRCC, guiding children and their parents in developing a strong relationship with God. 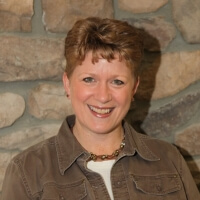 Her passion is to help children and their families grow and get connected with Christ and each other by providing fun and meaningful activities. Volunteers are always welcome in this ministry so contact her if you are interested in helping out. In addition to Children’s Ministry, Cindy is actively involved in a small women’s bible study at PRCC and coaches freshman volleyball at Paso Robles High School. In her spare time, Cindy enjoys her “Shawn Time.” They love doing ministry together, going on long drives and curling up to watch a movie together.